You owe it to your eyes to play this pretty, innovative puzzle game. Get it—if and when the price drops. The opening scene of Tengami takes place in a tatami room, a traditional Japanese style consisting of matted floors. 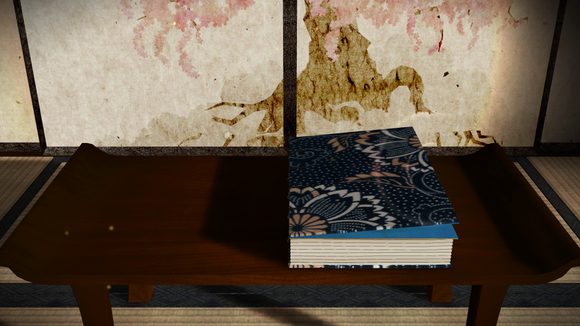 Tap ‘New Game,’ and the camera zooms in, onto a table that holds a thick book. 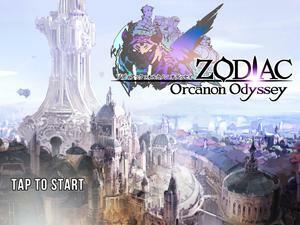 Your first task is to open this book, because the entire game takes place inside this ornate pop-up book. Tengami is an adventure inside a stunning, dynamic pop-up book. Visually innovative: There are plenty of mobile games these days with top-notch graphics, but Tengami is in a league of its own. Not only are Tengami’s graphics crisp, clear, and well-rendered, but the artwork itself is beautiful and unique. You play as a two-dimensional samurai exploring a watercolor, washi-paper world stylized as an intricate pop-up book—with puzzles that depend on manipulating these pop-ups (as well as your attention to detail). Scenes feature relaxing, blended (but deep) colors, small pulses of light to indicate places and things of interest, and smooth side-scrolling movement. Gameplay is simple, and mostly involves sliding your finger across the screen to open and close pop-ups and double-tapping to move your character. The way the pop-up pages have been drawn and animated are breathtaking—there were several times during my play-though that I stopped mid-pop-up just to marvel at how detailed the animation was. It’s not just the artwork that impresses. It’s also how the pop-ups are animated. The way pop-ups work in this game are similar to the perspective shifts in Monument Valley. For example, swiping your finger across a temple might fold the temple into itself to reveal the temple’s interior, or swiping your finger across a building might switch the perspective from the east side to the south side. 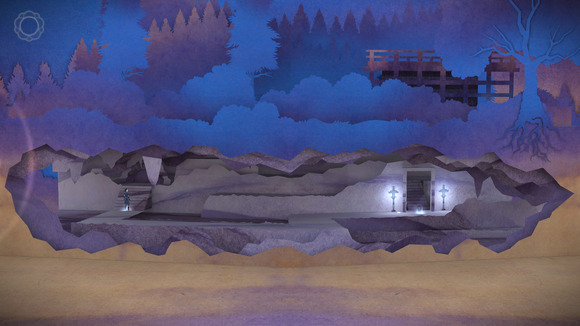 Atmosphere is on point: Tengami is based on traditional Japanese culture and aesthetic, and the game does a very good job of cultivating an authentic atmosphere (while still feeling like a game, and not history lesson). The game has a robust original soundtrack (available to stream on Bandcamp) that features Japanese instruments like the koto. Tengami is admittedly more of an interactive story than a game—the puzzles are all easy to medium-level difficulty—and so the atmosphere, soundtrack, and sound effects are an important part of making you feel lost in this world. 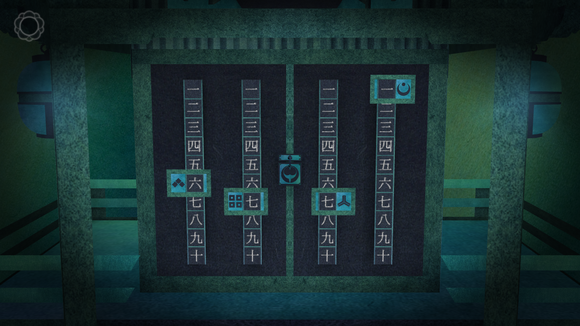 Tengami uses kanji numerals in some puzzles. One thing I found interesting was the use of Japanese numerals in the puzzles. I’m not sure if this would make the puzzles harder or easier for someone who has never seen kanji numbers (in one puzzle you simply need to recognize the symbols; in another you’re asked to add up a count), but I appreciated that the developers went with kanji and not random symbols or Roman numerals. Short and sweet: I’m a millennial—I download too many mobile games and fail to finish playing them because the plotlines are tediously drawn out. But I finished Tengami in just over an hour, even though gameplay felt far (perhaps too far) from rushed. In a world where popular mobile games are typically endless, finite games like Tengami and Monument Valley are a satisfying reprieve. 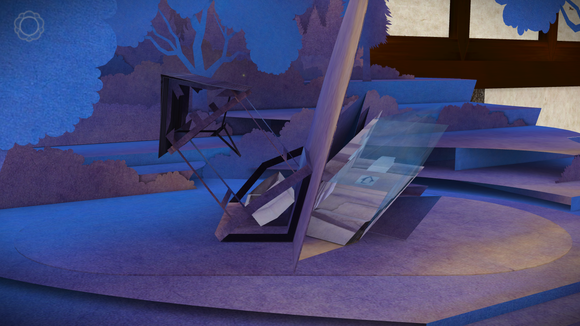 Tengami has three chapters, like the three verses of a haiku, which makes for a poetic wrap-up. That said, I think Tengami is a little too short to justify its $5 price tag. I recommend waiting until it goes on sale (I’ve seen it on sale for $1 in the past) before you snag this title.